¶ 3 Leave a comment on paragraph 3 0 What the hell does Tom Thumb have to do with anything? 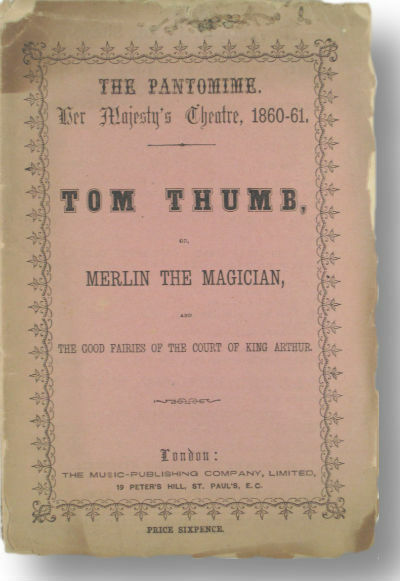 ¶ 4 Leave a comment on paragraph 4 0 As we all undoubtedly remember from kindergarten, Tom Thumb is a character in many folk tales. According to Wikipedia, Tom Thumb first appeared in these stories in the sixteenth century. The gist of the typical story (there are many versions) is that an old couple want a baby. Merlin the Magician overhears the couple saying they would be willing to take any baby, even one that’s no bigger than a thumb. Merlin grants them their wish, and thus little Tom Thumb is born. Tom goes on to win favor with the king, suffers through various tribulations, and is eventually killed by a bite from a spider. ¶ 5 Leave a comment on paragraph 5 0 How all that relates to the lyrics of this song? I guess one could argue that the narrator is comparing his tribulations with those of Tom Thumb. Or perhaps he feels he’s been hammered down so hard that he feels as small as Tom Thumb. Or maybe Dylan just liked the story. Who knows? ¶ 6 Leave a comment on paragraph 6 0 Here’s what Dylan said about it before playing the song at a concert in 1966. ¶ 7 Leave a comment on paragraph 7 0 This [song] is about a painter – down in Mexico City, who traveled from North Mexico up to Del Rio, Texas all the time, his name’s Tom Thumb, and uh, right now he’s about 125 years old but he’s still going, and uh, everybody likes him a lot down there, he’s got lots of friends, and uh, this is when he was going through his BLUE period, of painting, and uh, he’s made COUNTLESS amount of paintings, you couldn’t think of ’em all. This is his blue period painting I just dedicate this song to him, it’s called Just Like Tom Thumb’s Blues. ¶ 8 Leave a comment on paragraph 8 0 Unlike most Dylan songs from this period, Just Like Tom Thumb is a narrative ballad. The lyrics describe a man who has taken a trip down south into the border town of Juarez, Mexico, apparently looking for the pleasures of wine and women (in this case “burgundy” and “Melinda”). Things take a nasty turn for the worse. Disillusioned, the narrator returns for a respite to, ironically, the rough and tumble streets of New York. ¶ 9 Leave a comment on paragraph 9 0 It’s possible that the source of the song was Dylan’s own experiences during his well-known 1964 trip through the South with his road manager and buddy Victor Maimudes, writer Pete Karman, and folk singer and friend Paul Clayton. ¶ 11 Leave a comment on paragraph 11 0 The song may be a narrative, but it certainly is not your daddy’s narrative. Although the song tells a story, it is frustratingly vague and jumps around like an ADD kid on acid. Dylan not only completely changes the scene and characters in each verse, he also changes the tense in mid-song from “you” to “I”, a technique Dylan uses often. Examples include Tangled Up in Blue, Hollis Brown, and Black Diamond Bay. ¶ 12 Leave a comment on paragraph 12 0 Many commentators have cited possible literary references, although they seem to be something of a stretch. “Rue Morgue Avenue” could be a reference to the Edgar Allan Poe story, The Murders in the Rue Morgue. Rimbaud refers to himself as “Tom Thumb in a daze” in his poem, “My Bohemian Life (Fantasy)”. The poem, however, has little in common with the song, although it does have a guy playing a “lyre”, which is sorta like a guitar. ¶ 14 Leave a comment on paragraph 14 0 My only pair of breeches had a big whole in them. ¶ 18 Leave a comment on paragraph 18 0 had been like a bible for me. I loved the breathless, dynamic bop poetry phrases that flowed from Jack’s pen . . . I fell into that atmosphere of everything Kerouac was saying about the world being completely mad, and the only people or him that were interesting were the mad people, the mad ones, the ones who were mad to live, mad to talk, mad to be saved, desirous of everything at the same time, the ones who never yawn, all of those mad ones, and I felt like I fit right into that bunch. ¶ 21 Leave a comment on paragraph 21 0 He grumbles that these two lines are the heart of the song and Dylan never gave him credit. They are very good lines, but there’s no real evidence that Neuwrith wrote them, at least that I’ve ever heard. ¶ 22 Leave a comment on paragraph 22 0 This song does not appear on any official Dylan live albums except The Bootleg Series Volume 4: Live 1966. It’s an interesting take. The performance is looser and more exuberant than on official recording. Dylan’s vocals are also quite different, with much more of an off-the-cuff feel. ¶ 24 Leave a comment on paragraph 24 0 An alternative studio take is included on “The Bootleg Series Volume 7: No Direction Home”. Not much different than the original except it doesn’t sound as well rehearsed. I’ve always heard this as a drug reference. According to various sources, Dylan was not beyond indulging in the magic amphetamine injections so popular at the time. 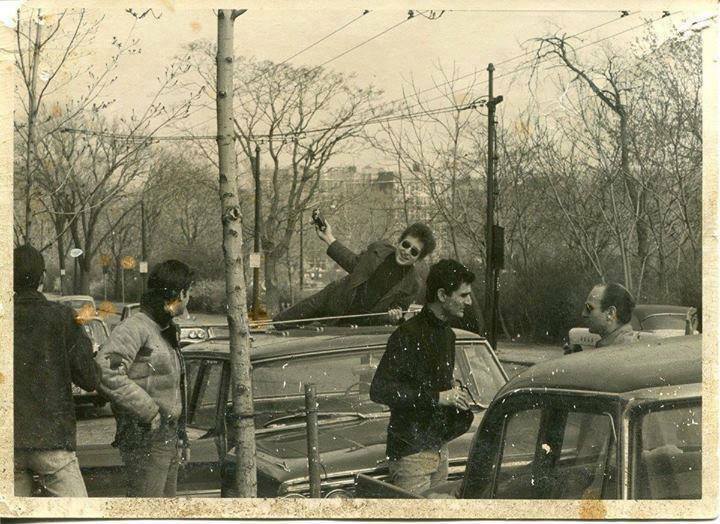 However, there are several other voices as well as Dylan’s own rumored admission to Robert Shelton during an “in-flight” interview in 1966 that point to the singer developing a heroin habit during some period prior to the Woodstock retreat. 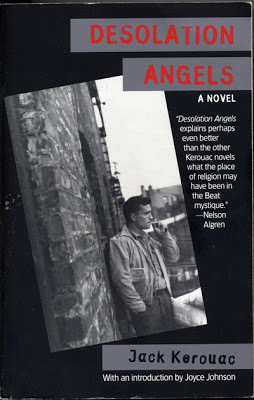 New York was definitely the proper place to discover dope in the early 60s and, to the choir-fans calling “blasphemy!”, it is not too difficult to remain a high-functioning junkie, particularly if one doesn’t have money problems. Sometimes, you just never know with a person. The stereotype of a passive junkie melting into the couch is usually just that. It takes quite a bit of effort to financially secure a supply and the best way to do that is to… have a job. I’ve known plenty of junkies who could fool the whole world and certainly prefer to, mainly due to the stigma attached to the drug. Almost nobody would know it when they had a habit and almost nobody noticed when they quit. In that sense, being a speed-freak is a lot more obvious and alcoholics might as well be jangling bottles from their necks. So, though I am NOT saying with any degree of certainty that Dylan was a heroin addict (due to limited evidence), I wouldn’t exclude that as a possibility.